Nail polish abounds in this household. My nails are painted 24/7. One thing I do buy all the time is a new bottle of top coat. As I use it every week, it tends to get a bit thick and gluggy and one thing I can’t stand is nails that are not super smooth and glossy. 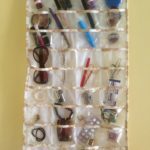 Instead of throwing out those partially used bottles of clear polish, there are plenty of ways you can put them to good use. 1 – SAVING STOCKINGS AND TIGHTS – A little dab of top coat applied to the first signs of a snag or pull can help stop that annoying ladder and at least get the rest of the day out of your stockings. 2 – SAVE YOUR FLY SCREENS – Stop holes from getting bigger buy sealing the hole well with clear polish. 3 – SAVE YOUR SPARKLES – Fashion jewellery is fun to wear but the quality of construction is often lacking and once your bling looses a stone you might as well toss them. Before you wear them, apply a good coat of polish, it will help keep them shiny and also lock them in place. (I learnt this one from the lady that sold me my blinged up mini floating charm locket). 4 – NO MORE GREEN SKIN – If your skin reacts with the metals used to make costume jewellery, apply polish inside rings etc. to create a barrier that will stop the acid in your skin leaving horrible marks. 5 – WART REMOVAL – Unsightly warts can be killed off by applying clear polish. When the wart is starved of oxygen it will die. Apply each day after your show until the wart is gone. 6 – WASHI TAPE NAILS – A really quick way to get funky finger nails is to use washi tape. Available in a never ending collection of colours and patterns, simply apply small pieces to your nails, trim off the excess and then seal with top coat. (This will not work with washi tape made from vinyl, you will need to use the thin paper style). 7 – RECHARGE YOUR SOLAR LIGHTS – Solar panels go dull after a while and loose their ability to absorb sunlight effectively, apply a coat of polish to the panel and your lights will be bright again. 8 – METAL AEROSOLS – Cans of air freshener, especially those that are left in bathrooms can leave nasty rust marks that are really tough to remove. Apply a coat of polish around the base of the can and this will stop those marks appearing. 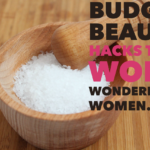 9 – THREAD IT – Before you try to thread a needle, dip the cotton into the nail polish to create a nice strong point that makes threading so much easier. 10 – SHOE LACES – Dip the ends of new shoe laces in polish to help stop them fraying. This also works for cords or rope of any kind and if you are crafting with fishing line, dab a little on the knot to stop it from coming undone. 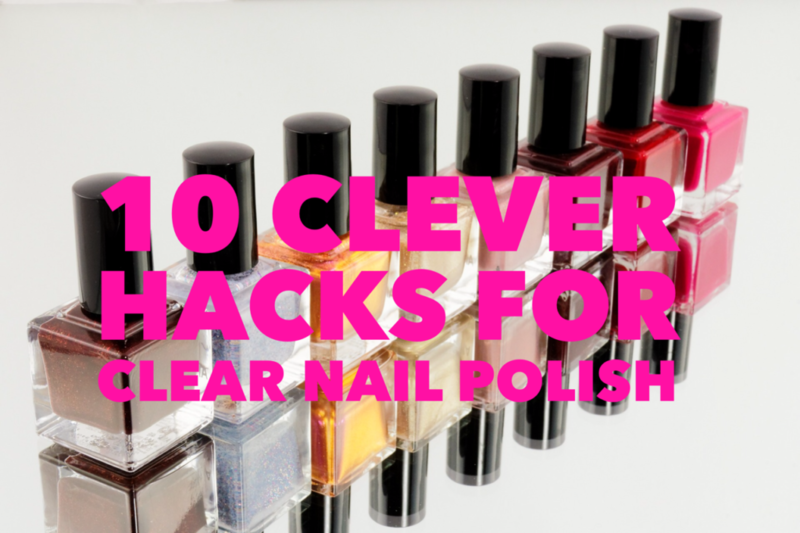 Have you ever used clear nail polish to save the day? 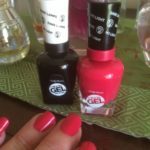 Gel Nails At Home – No Lamp Required! 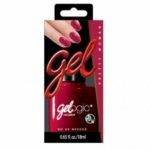 How To Do Gel Nails At Home – No UV Lamp Required! Wow- the wart trick I never knew- how cool! This is brilliant – other than stockings, I knew none of these. Excellent post….Warts????? Who knew? Wow! So many new uses for clear nail polish! The only one I have previously used is the stockings one! There are a few here I hadn’t ever thought of, genius, thanks! Ooh, I thought I knew most of the nail polish tricks, but there’s lots of new ones in here, nice one! Glad you learnt something new. These are great ideas! I never would’ve thought about shoe laces. Luckily, I have no warts to remove but always good to know for future reference! We are using it on a wart my youngest has on her big toe.